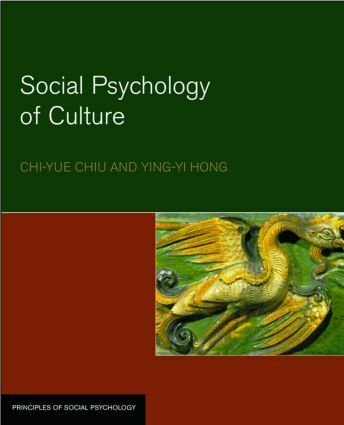 Though the central aims of social psychology have remained the same since the inception of the field - the scientific study of the way individuals perceive, interact with and relate to others - our understandings of social psychological subject matter have changed enormously. The growth of the field during the past few decades has been remarkable. Though the interest in traditional topics continues to thrive, social psychology has been transformed by its close partnerships with other domains of psychology, as well as its ties to outside disciplines such as law and the health sciences. Furthermore, whereas in the past decades European and American perspectives on social psychology had different emphases, there is now increasing integration of their perspectives as well as of additional ones originating from all parts of the globe (Australasia and Asia, for example). The internet and the ever-growing volume of international travel facilitate communication and foster the emergence of a "shared reality" among social psychologists worldwide. Principles of Social Psychology is a new generation of social psychology textbooks, which aims to reflect these exciting developments. The basic commitment of the series is twofold: (1) to articulate the principles and explanatory mechanisms underlying the variety of social behavior; (2) to relate them to real-world phenomena and concerns. The emphasis of the series would be on broad, overarching principles and processes that unite and integrate large bodies of empirical research rather than on descriptive reviews of such research, whose exponential growth makes this an increasingly difficult enterprise. While presenting fairly a variety of viewpoints, each textbook in the series will feature a coherent perspective of its own. This would be a broad, meta-perspective on the field in question, and not simply an individual theory. Though the author's conceptual vantage point may not coincide with each instructor's perspective, it will nonetheless afford the opportunity for a meaningful dialogue and encourage students to partake in the intellectual debate. All books in the series will address relevant research conducted by researchers from around the world, and will incorporate the same set of organizational principles so that as a whole the series will provide a comprehensive and stimulating introduction to the diverse and fascinating field of social psychology.